It’s a little too easy to correlate the relaxed, familiar sound of Wilco’s recent work and the present state of the group, which is as settled as it’s ever been. 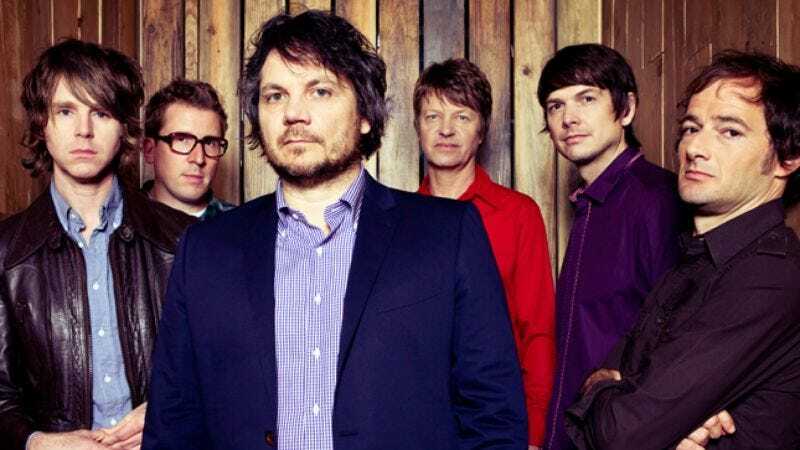 But after presenting itself as a different band—figuratively and literally—on every album it put out in the ’90s and early ’00s, Wilco has nested on its last three records. For lack of a better term, 2007’s Sky Blue Sky and ’09’s Wilco (The Album) were very Wilco-sounding—and there used to not be such a thing, perhaps because Jeff Tweedy couldn’t keep the same supporting cast (save for long-time bassist John Stirratt) around long enough to figure out what “Wilco-sounding” was supposed to mean. With The Whole Love, Tweedy has now been with this lineup longer than any previous incarnation of Wilco, and it doesn’t seem coincidental that the album is the most effervescent of the band’s career. Stylistically, The Whole Love repeats the formula of Wilco (The Album), offering up a grab-bag of Wilco’s previous guises like a mix-tape of outtakes. The thick, punchy power-pop of Summerteeth figures most prominently on the upbeat songs, with the organ-powered “I Might” and “Dawned On Me” ranking as the band’s best straight-up rock songs in more than a decade. Wilco’s long-lost country-rock side also makes a welcome comeback on the stunning “Open Mind,” while the stark folk of “Rising Red Lung” is like a lost Yankee Hotel Foxtrot demo. Even the 12-minute closer “One Sunday Morning (Song For Jane Smiley’s Boyfriend)” is as light and engaging as a jangly pop song on an oldies station. As enjoyable as The Whole Love is—and it’s an appreciable improvement over the wan Wilco—it still has some of its predecessor’s slight, low-stakes feel. The Whole Love is an album of reliable, occasionally exceptional, but mostly just solid pleasures from a very good band that doesn’t seem interested in doing the heavy lifting it takes to be great. Wilco’s early records seemed like the product of painful deliberation and unmitigated tension, a real life-or-death proposition; The Whole Love breezes by like a sunny Saturday afternoon among best friends. Now that Wilco has finally found its comfort zone, it might be time to venture elsewhere for a change.